The Wooden Dibbi with Embossed Work in Multicolor is sure to cast its spell with the fine display of the mesmerizingly beautiful ethnic design work Read More..on its body in a myriad of rich and warm shades. 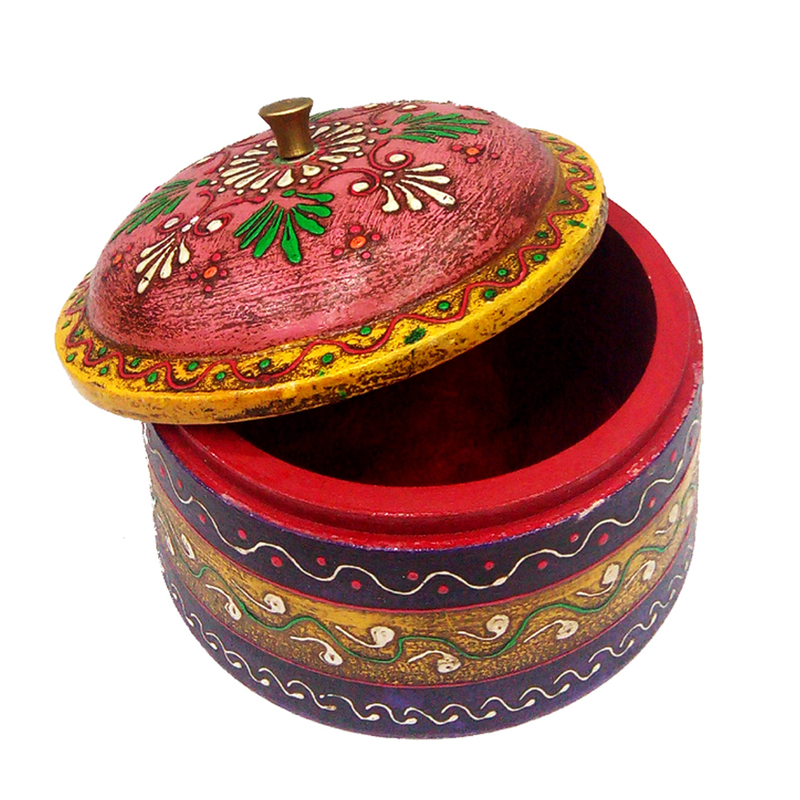 The finely carved wooden body of this traditional container carries finely executed embossed work, which accentuates the present of the rich colors. This wooden dibbi is sire to find a place in the household of those buyers who are fond such traditional items with their glorious design work. Show Less..